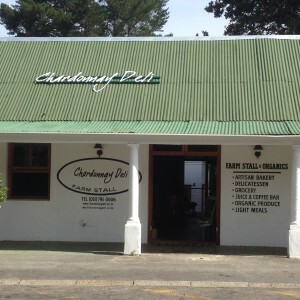 Restaurant Review: Chardonnay Deli more Farm Stall than Eatery, no Chardonnay, sub-standard food! Word has spread about newly opened Chardonnay Deli in Constantia, and my expectations were high when Manley Communications sent the media release about it in December. The expectations created via the media release were not met unfortunately, and we found a Farm Stall with below-average and poorly presented food in its Eatery! Crush! 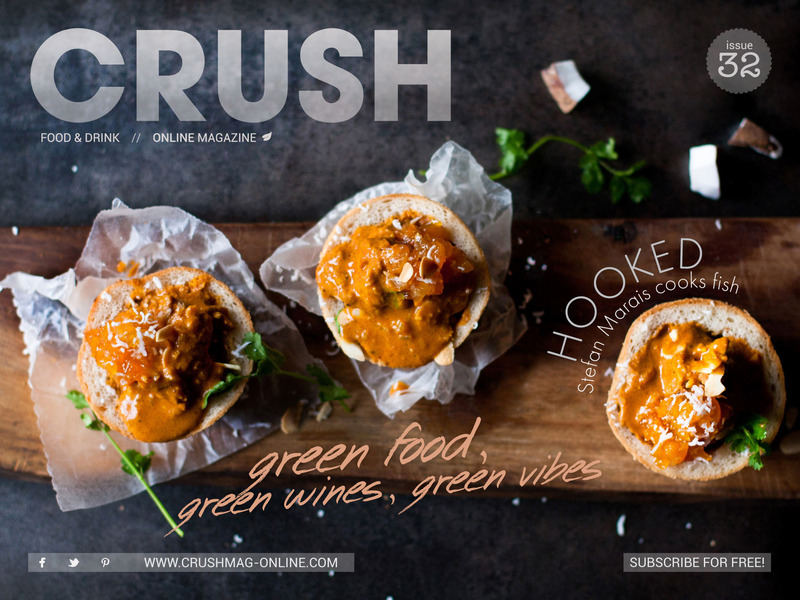 32: greatly improved mouthwatering food & drink online magazine! When Michael Olivier first launched Crush! food and wine digital magazine three years ago, it was evident that he and his team had no experience in the design and publishing of a magazine generally, and a digital magazine specifically. We wrote critically about the first few issues, but no feedback was accepted nor reacted to, and Olivier appeared to have lost advertising revenue as a result, thus leaving the magazine about a year ago. His departure appears to have rejuvenated the magazine, and it has improved vastly! Starlings Café champion of home-grown and organic produce! It was via Twitter that I first read about Starlings Café, which had opened more than four years ago, but only became well-known when they started Tweeting about six months ago, co-inciding with their new farmer-style market they host in their garden section on Wednesdays at 16h00 – 18h00. Focusing on home-grown produce in the preparation of its food for the small menu, owner Trish Krutz offered her suppliers a small homely space in which they could display their organic and home-grown produce to the Starlings Café clients, a win-win situation for both the Café in attracting more business, and for the product suppliers, who are part of a market growing in popularity. Trish said she likes to stay below the radar, ‘behind the hedge’, she said. The Café prepares all its food, only buying croissants from Cassis. One sees the Origin coffee branded umbrellas of Starlings Café only once one steps off the pavement on Belvedere Road, and the interior feels homely, consisting of two interleading rooms and an open-plan kitchen, and then leads onto the terrace outside, which is protected against the weather. Tables and chairs are mix and match, and each table has a different colour and pattern tablecloth. Walls are covered with sketches, paintings, and prints, giving it a very homely feeling, as if one is visiting a friend’s parents’ house, with vases of roses and rosemary on each table. The Willow Creek ceramic extra virgin olive oil and balsamic vinegar containers suit the country-style restaurant, even if it is in the city, with unbranded salt and pepper grinders. Paper serviettes have a starling printed onto them. The menu is simply printed on white board, with a starling on it too. Its introduction states: “We love supporting local suppliers and using the best quality home grown produce we can find”. This is visible as Trish was connecting with her suppliers after the worst market buying rush was over. I tried the mozzarella fior di latte (using Puglia’s mozzarella), tomato and basil pesto salad stack (R45), with amazing wholewheat bread baked by the Café. It was a delicious combination, not needing butter or any of the condiments. One can also order a tart of the day; Thai chicken curry; Portabellini mushrooms, roasted tomato and artichoke risotto; or a hamburger; ranging from R45 – R65. A choice of salads is offered, including chicken caesar, and roasted vegetables (R55 – R69). Sandwiches with roast vegetable, feta and pesto; bacon, Dalewood brie and homemade tomato chilli jam; and chicken on rye with harissa and date dressing cost R50 – R59. Trish was extremely friendly, but her staff less so. On a lower level to the terrace are the tables set up for the market, with nine stands, protected against the heat by trees and more Origin umbrellas. Matt Allison is a friend from the Food & Wine Bloggers’ Club, and his colourful table had vegetables on it that he had picked two hours previously. He was selling parsley, butter lettuce, carrots, red onions, tomatoes, potatoes, herbs, green peppers, green beans, and more. Interesting was the Boutique Garden Honey stand, at which honey from hives set up in Cape Town gardens is sold. I was fascinated to see the difference in the colour of the honey coming from Newlands (dark brown, a sign of fynbos, I was told) compared to that from Claremont (being far more golden) gardens. The garden honey costs R45, while their spingflower honey from the veld costs R25. They also sell interesting sounding honey-flavoured soaps, e.g. Rose geranium, Marigold and lemon, Myrrh and frankencense. Pets can be treated with wheat free low fat organic treats, for sale at the market. Simply Wholesome supplies restaurants and homes with organic and free range produce on order, with delivery, and evolved from a greater focus by the owners on eating healthily. One can buy salted and unsalted farm butter, eggs, ‘free run’ chicken and eggs, as well as Seville orange marmalade, fig preserve, sundried tomato mustard, and strawberry jam. 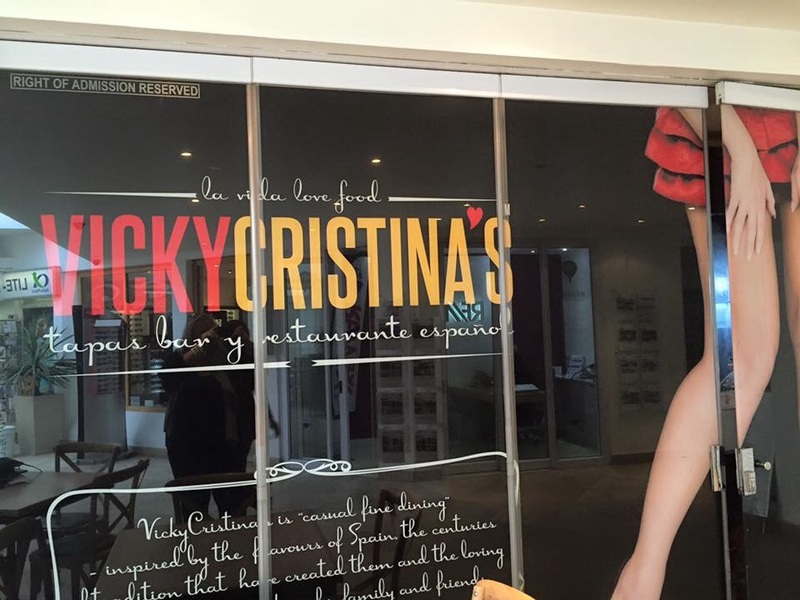 The House of Pasta has a restaurant and take-away service at the bottom end of Long Street, and the owner is Italian. 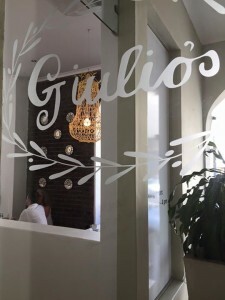 His charming wife explained all the pasta types to me, including gluten-free lasagne sheets and fusille, as well as tagliarini, and spinach and butternut pasta. The Creamery was selling delicious strawberry and lemon curd ice cream flavours. Richard Bosman’s charcuterie products were for sale, with a new smoked bacon. Julie Carter from Ocean Jewels Fresh Fish had a table. Afrikara Co-op is from Wolseley, and sells organic biodynamic natural yoghurt, cream, and feta cheese (labneh too usually, but not yesterday), as well as aubergines, and whatever fruit and vegetables they produce. Attending the market yesterday allowed me to meet Karen Welter for the first time, who does the Tweeting for Starlings Café, and her late parents-in-law were friends of my parents many years ago. 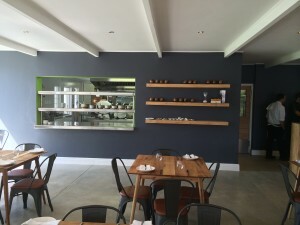 Karen is busy with a dissertation on ‘Sustainable Restaurants’ at the Sustainability Institute, which is part of the University of Stellenbosch. She is focusing on key issues for restaurants in terms of how they can operate their businesses in a more sustainable manner in terms of their energy usage, communication, sourcing products, best practice, and collaboration with others. It was a very special experience at Starling’s Café, with friendly collaboration amongst the market stallholders evident, and friends clearly meeting there regularly. It felt like a mini-bazaar, for a special set of persons lucky to live close by to Starlings Café to allow them to visit regularly. 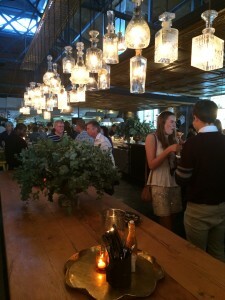 It has none of the crowdedness that one experiences at the Slow Food Market at Oude Libertas or at the Old Biscuit Mill.